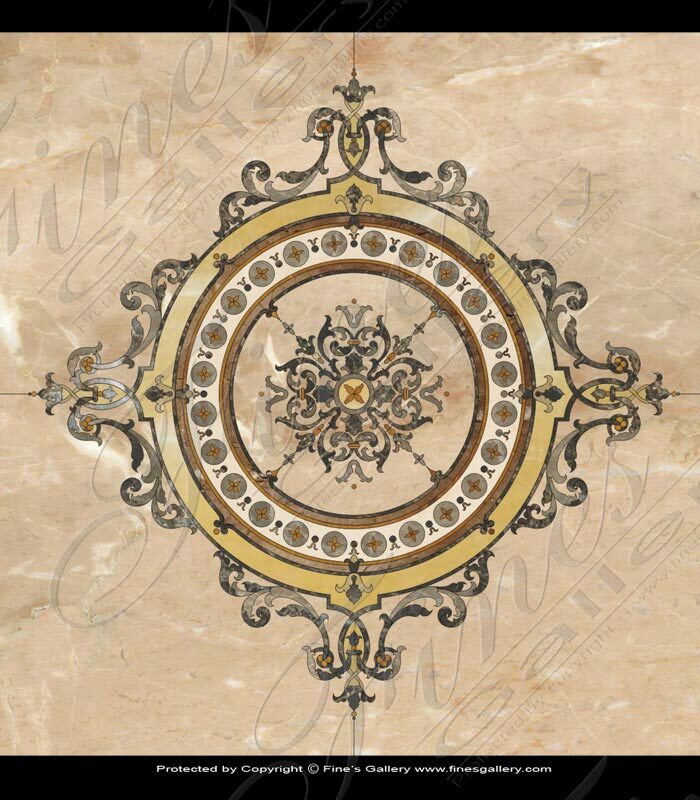 This beautiful marble medallion is available to be produced in the combination of marble colors that works best for your application. Contact us today for quotation in the size that you require. 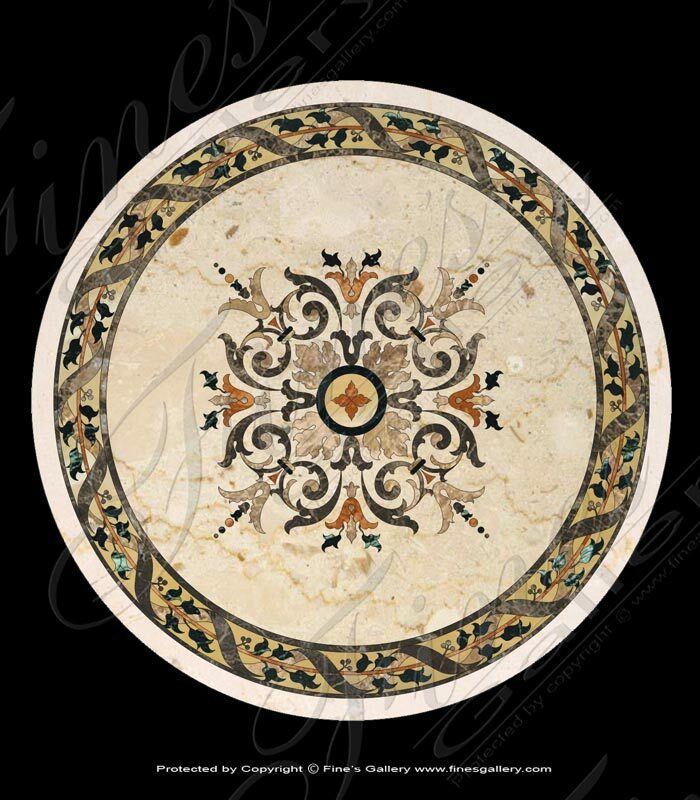 This beautiful marble medallion is avialable to be produced in the combination of marble colors that works best for your application. Contact us today for quotation in the size that you require. 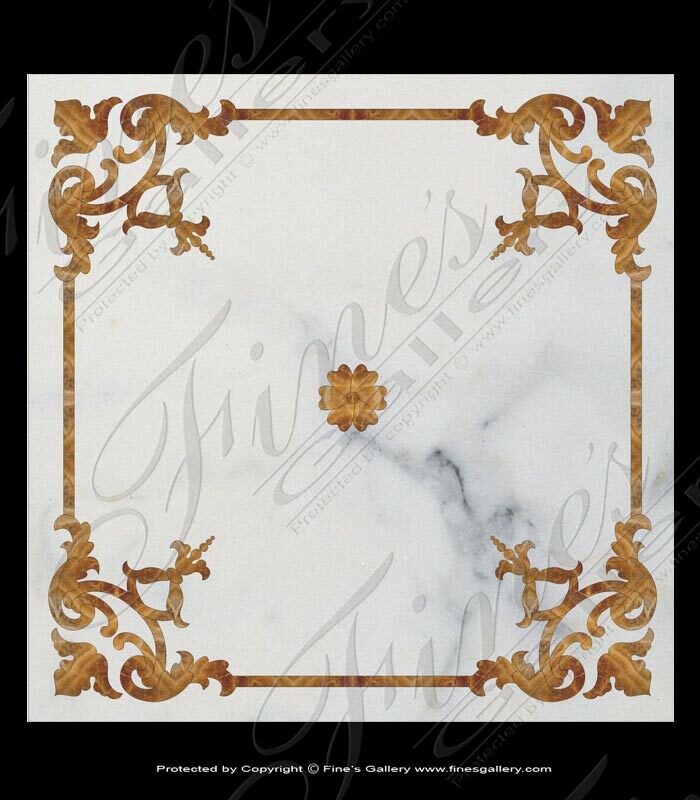 This elegant marble mosaic is an artistic masterpiece and the perfect accent for a finely decorated home. 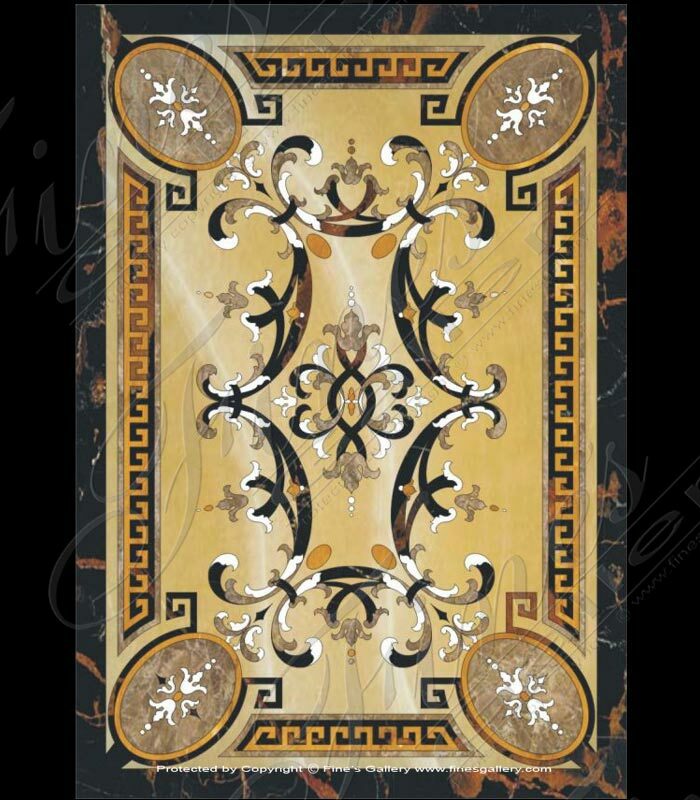 Its beautiful design features gold, white, and dark brown marbles in a sophisticated arrangement of ornately scrolled leaf patterns. This elegant mosaic is made from several tones of fine marble in an intricate and stunning arrangement. The perfect piece of artwork for your home, this piece provides a majestic focal point. Contact us today for a custom quote. 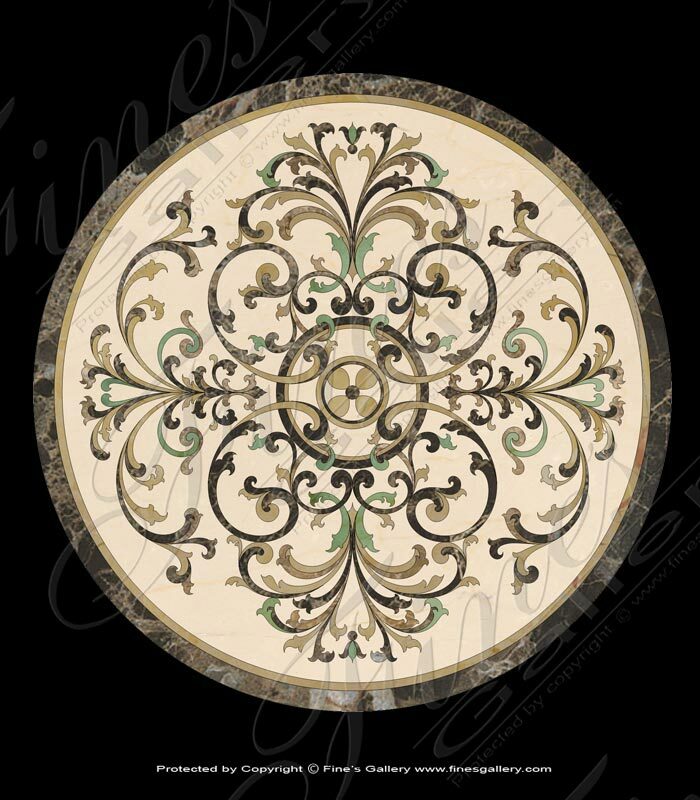 The Florentine is a charming contrast design of a fleur-de-lis pattern innertwined with a circle. Featuring an assortment of colored marbles for a breathtaking display of art to compliment the beauty of your home. Contact us for more information. 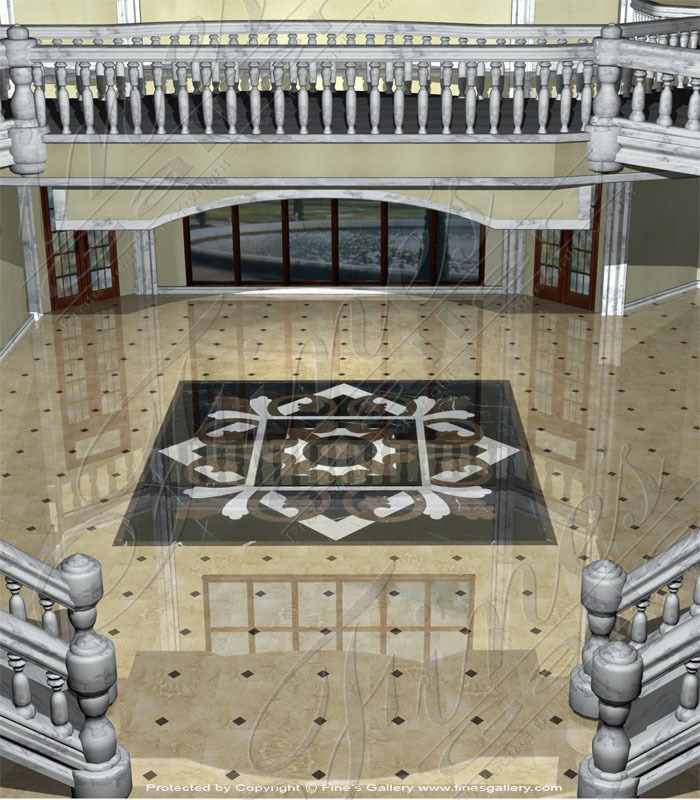 The dazzling inlaid tile shown here feature a starburst in the center, with spiral radii in two tones and a diamond point border in a diamond pattern surrounding the star. The tile is inlaid from several colored marbles to give the piece definition. The magnificent inlaid tile shown here depicts a beautifully detailed fleur-de-lis pattern within a square. The tile is hand inlaid from several beautifully colored marbles and stones to give the piece definition and character. The wonderful inlaid tile shown here is cut into a geometric pattern of an octagon. It is breathtakingly detailed with a bulls-eye in the center and several fleur surrounding the eye. 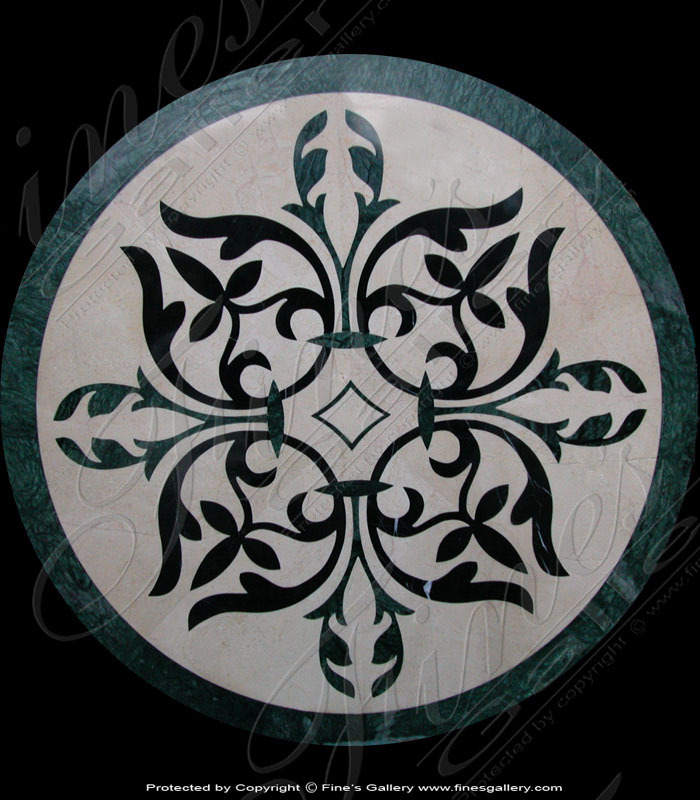 This tile is hand inlaid from many beautiful marbles and stones. 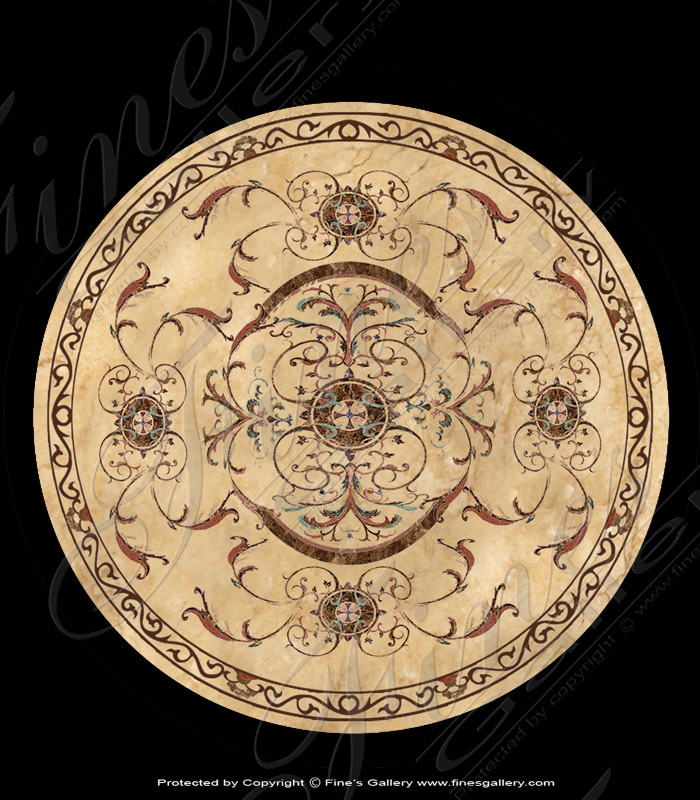 This astounding inlaid tile scene depicts an elegant Lotus Blossom with gorgeous stone in tones of red, gold, green and black. The tile is hand inlaid from several vibrantly colored marbles and stones from our team of in-house experts. A fine design. 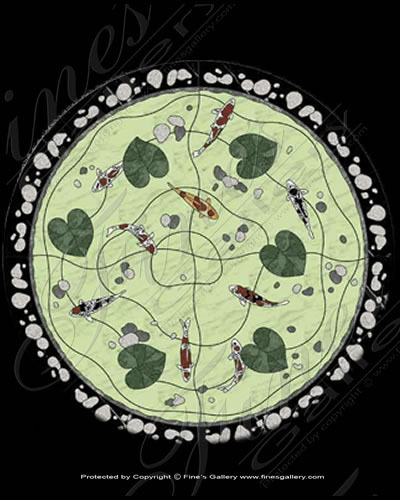 This adorable inlaid tile depicts a round koi pond with nine koi fish swimming around some lily pads. The tile is hand inlaid from several brilliantly colored marbles and stones to give the piece definition and character. The tile is hand inlaid from several brilliantly colored marbles and stones. 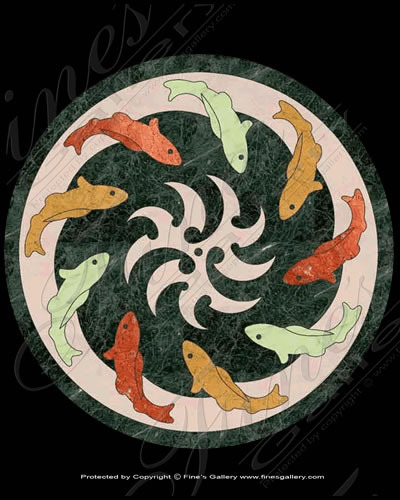 This hand inlaid tile depicts nine fish moving in a clockwise direction. The detailing and craftsmanship makes this piece a beautiful work of art. 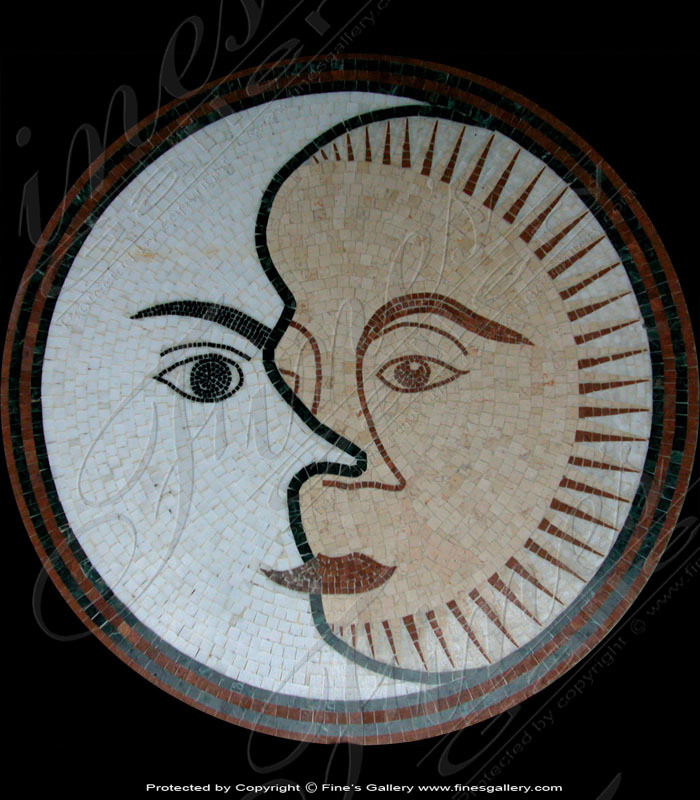 This spectacular mosaic tile artwork displays a lovely Sun & Moon design you will treasure in the years to come. A black and white cresent moon overlaps a lovely red and gold sun, both with serene facial features. A fine decoration for the home. 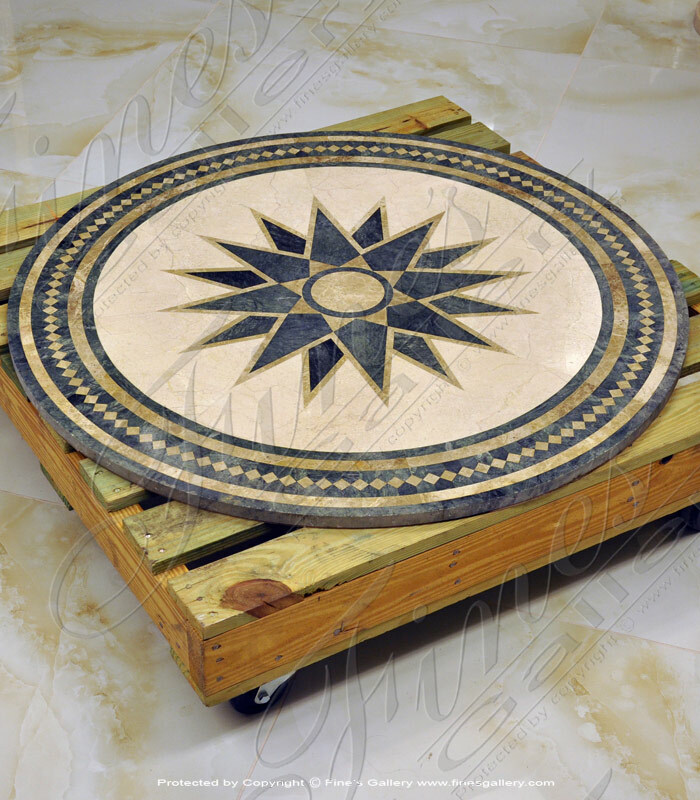 This Marble Tile displays a circle with beautiful contrasting black and white design center. 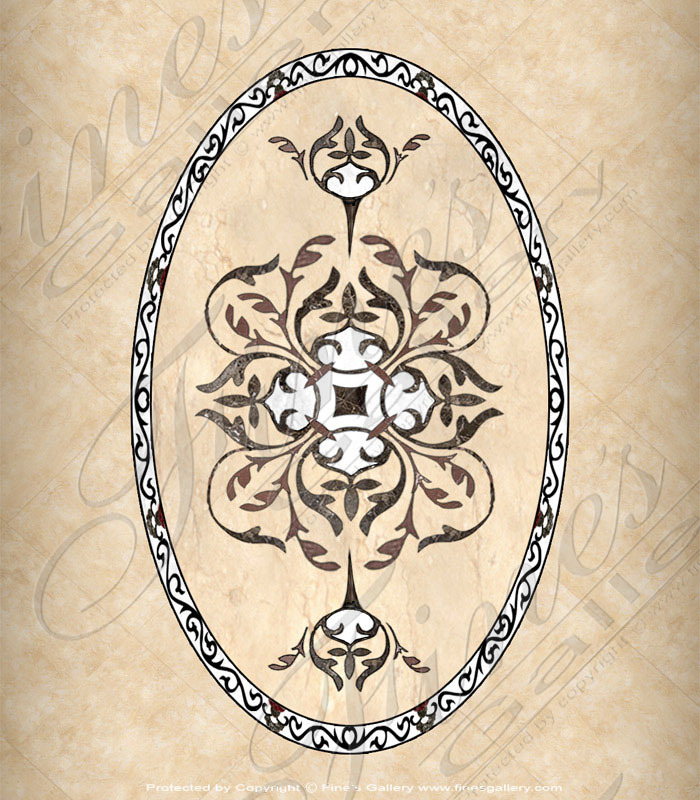 This lovely design will add a richness and sophistication you will treasure in your home. We offer complete customization of all our products.